God Centered Mom: Heather is so awesome to listen to! She is an outnumbered boy mom too! The wife and mother of four boys, I just can't wait to listen to her podcast each and every Monday! I love her guest speakers! This is such a great podcast go check her out! Living Life With Lauren: I've only recently stumbled across Lauren's podcast! I can not tell you how much I like this woman! Not only is she super sweet on her radio show, she often has giveaways on her facebook page. She is loud like me and I really think if you put the two of us together and a pot of coffee we could talk all night long. ONE Extraordinary Marriage: This is for all the married woman like me! This is such a great podcast to listen to for marriage tips, advice, and whatever else. They cover almost everything! Toni and Alisa are a married couple of 20 years and they host the show together, so they are able to give a male and a female perspective. This is one of those that you can't miss out on. Inspired to Action: Kat Lee has a voice that relaxes you. Seriously. I love to listen to her podcast about momlife at the end of the day, while I'm doing the dishes or cleaning up after supper. It is such a powerful and fantastic podcast that I know you will love. The Productive Woman: Mom, wife, boss mom, or just a college student...who doesn't need a little help being a bit more productive? Seriously, this has so many tips on having a more productive day that I can't even explain all the awesomeness of this podcast! These are great ideas!! 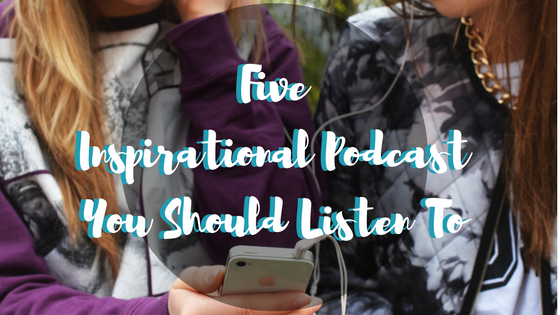 I will definitely be adding them to my podcast list!